Mama Lambert (counselor at our partner organization Solace Ministries in Rwanda) was in the Netherlands during the symposium ‘It’s not fair’, organized by Veritas Forum and Academic Forum (Tilburg University). At the symposium, which was atten ded by more than 300 people, she shared her story on how she dealt with the loss of her family members during the genocide. 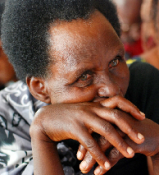 She has been capable of forgiving the murderers and helps other survivors of the genocide to continue with their lives. How is it possible to forgive people who take away everything from you? How can we deal with injustice? Is forgiveness helpful? These questions were answered by not only Mama Lambert, but also Jean Pierre Karabaranga (Rwandan ambassador in the Netherlands), Allan Moore (lecturer in criminology and criminal justice within the School of Media, Culture and Society at the University of the West of Scotlad) and Riël Vermunt (associate professor social and organizational psychology at the University of Leiden). It was also a special evening for Mama Lambert who was touched by all the students who came to listen to her. For more impressions of the evening, click here, here, here and here. Recently -thanks to the support- 8 women in our sponsorship program have been empowered. These women are financially independent (for instance, they have set up their own small business or are renting a part of their house out for income etc. ), and most importantly, they have hope for the future again. This is not only good for themselves, but also for the orphans and children they are taking care of. We are happy to announce that we have reached our aim for these 8 women: ‘Mukomeze’, which means ‘Empower her’. 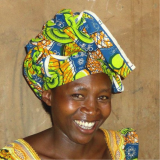 Not long ago, 10 new women received a sponsorship through Mukomeze. We are very happy with this result. 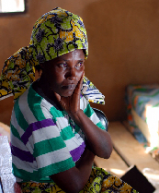 We have now 69 women who are being supported, but we are still seeking sponsors for the remaining 243 women in the south of Rwanda. Would you like to support these women? Become a sponsor today and contact us! Patrick Cammaert (Major General ret. 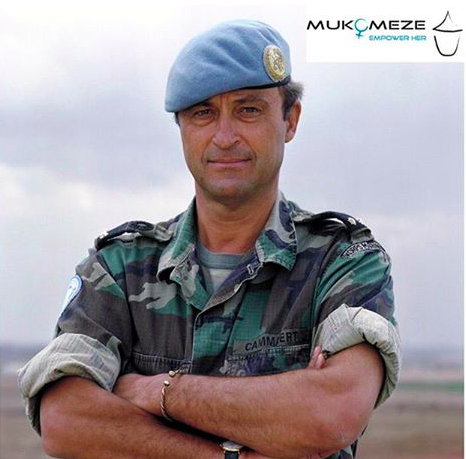 and member of the Mukomeze International Advisory Board) raised €2500 during his birthday for two Mukomeze sponsorships. These sponsorships will support two Rwandan women for a number of years. It will help them on their way to empowerment. Furthermore, he met with Jean Gakwandi (director), Mama Lambert and Agnes Mukankusi (our contact person for sponsorships) of Solace Ministries, our partner organization. In addition, he met the two women he started to sponsor recently. It was a wonderful, inspirational and impressive meeting for all. Thanks Patrick for this absolute great initiative!!! We are happy to inform you that we were able to find su pport from the city council of Breda, Impulsis, De Leestafel and Stichting Loosco Fonds, which will make it possible for about 20 Rwandan women and their families to re ceive a cow! Keeping cows is a very effective way to support the women in their empowerment. 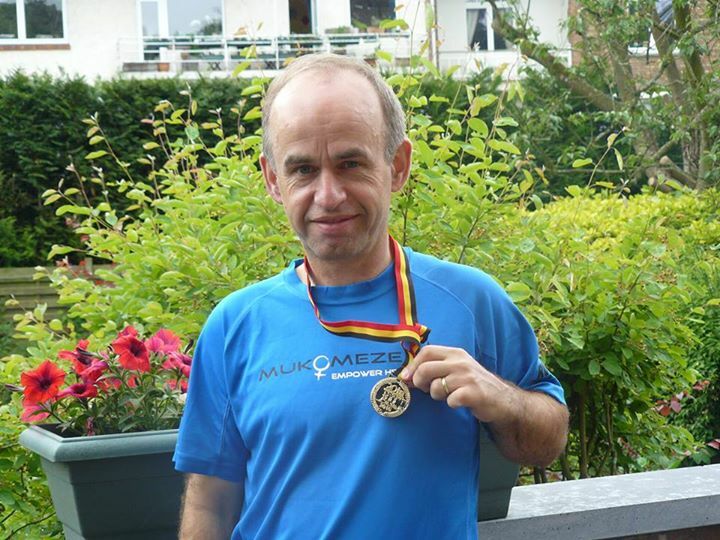 Wil Resing (one of our sponsors) recently ran again the 20 km of Brussels and raised attention to Mukomeze's cause (see t-shirt) and an astonishing amount of €930 for the women in Rwanda! Many thanks Wil and congratulations with this great achievement!